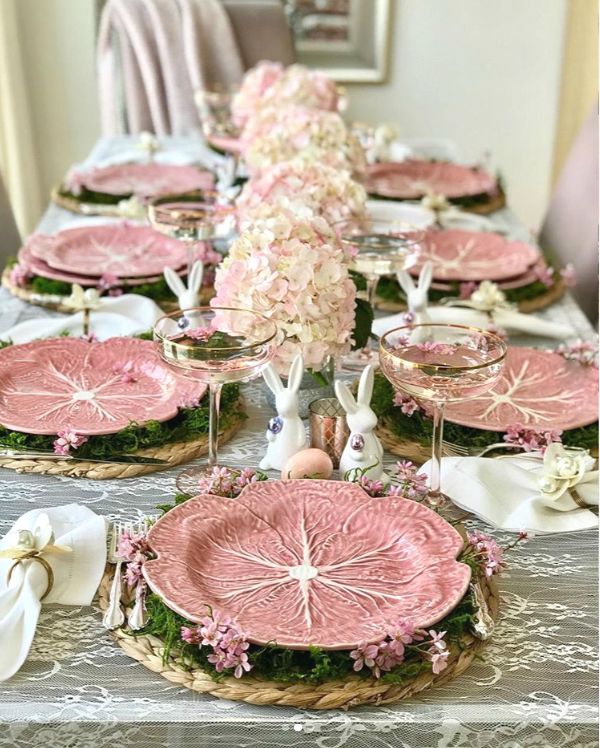 Yesterday, my blogging friend Janet of Rosemary & Thyme blog hosted a really fun Easter tablescape blog hop on instagram that included some of the sweetest and most talented gals who also happen to be amazing at putting together gorgeous table settings. 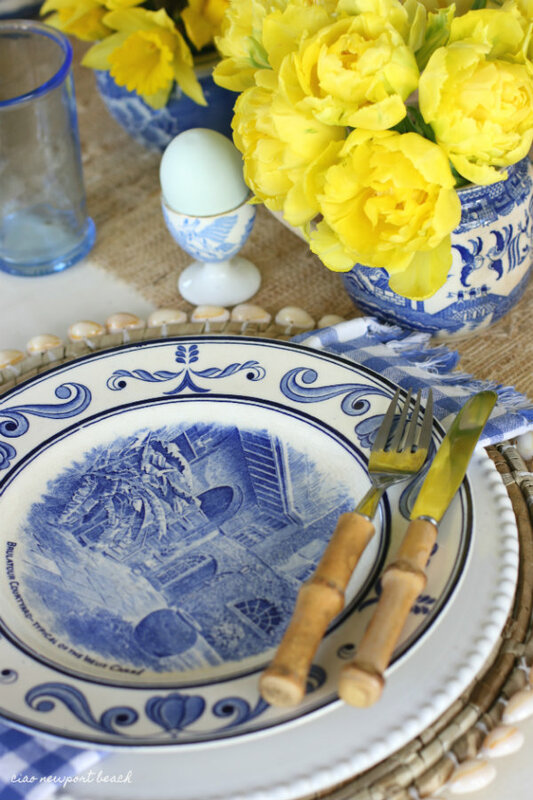 I shared one of my favorite Easter tables done with blue and white transferware… you know how much I love it! 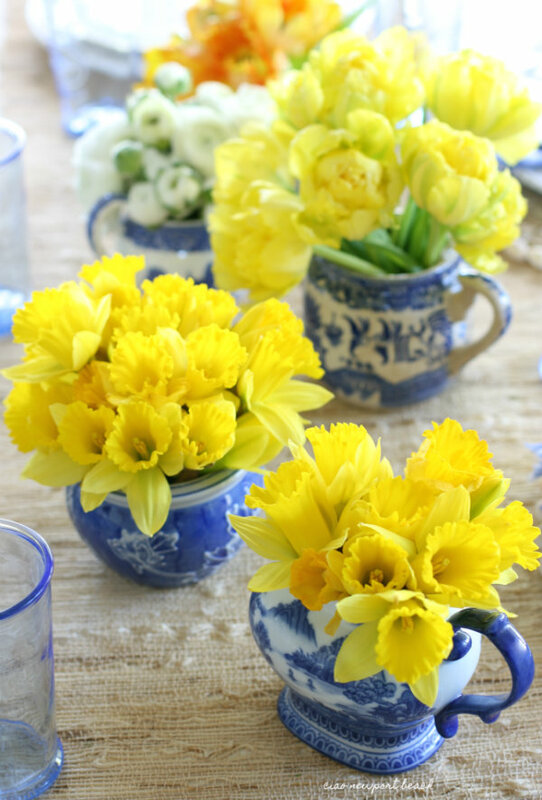 To infuse a bit of springtime color I used bright yellow daffodils and ruffled tulips to play off the vibrant blues. 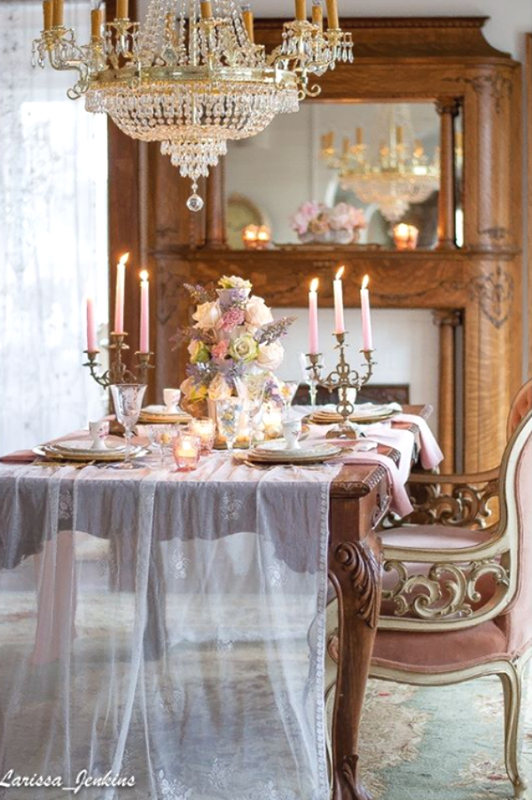 Now here’s the best part… sharing my seven blogging friends’ amazing visions. 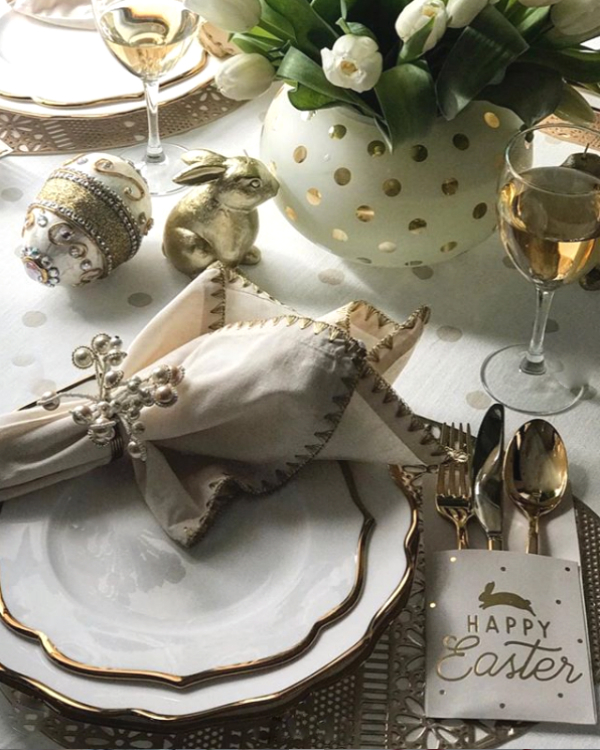 I just love how each and every one of these talented bloggers has their own unique style and approach to setting an Easter table. 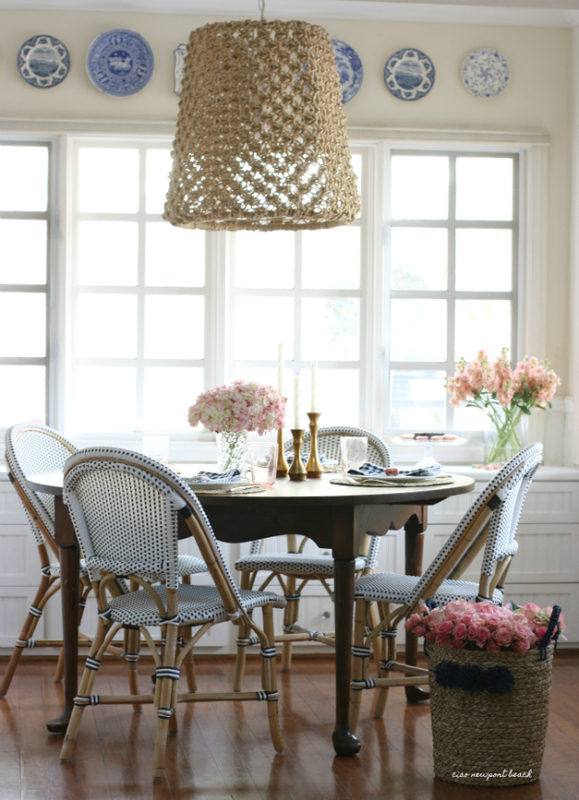 First of is Amanda of Rosie Rose Chic. 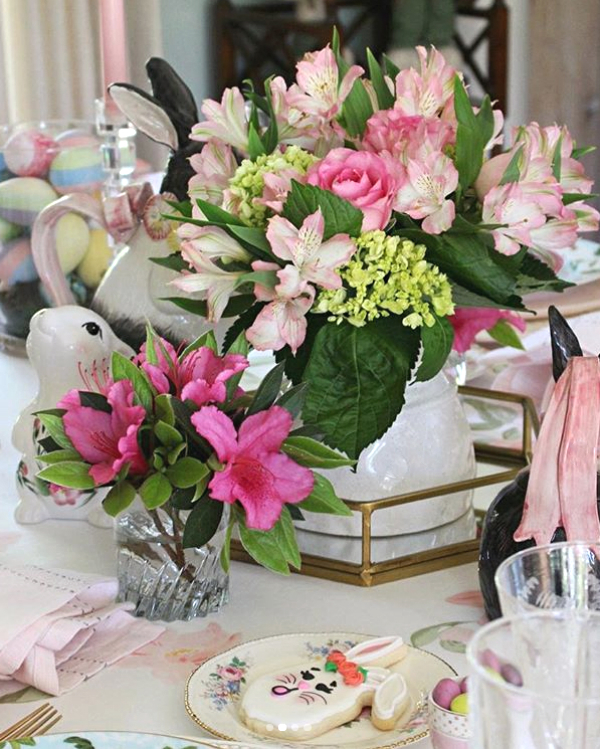 Her table is so bright, cheery and fun! 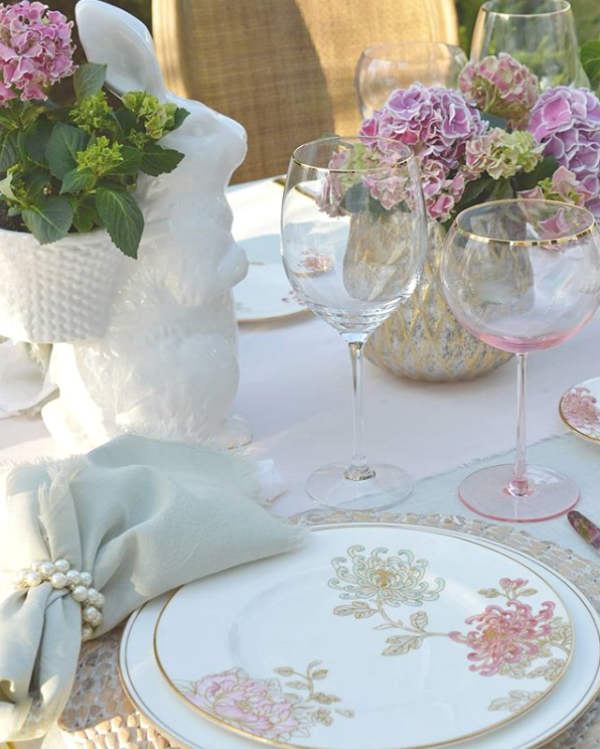 set the most divine table with this gorgeous floral centerpiece! 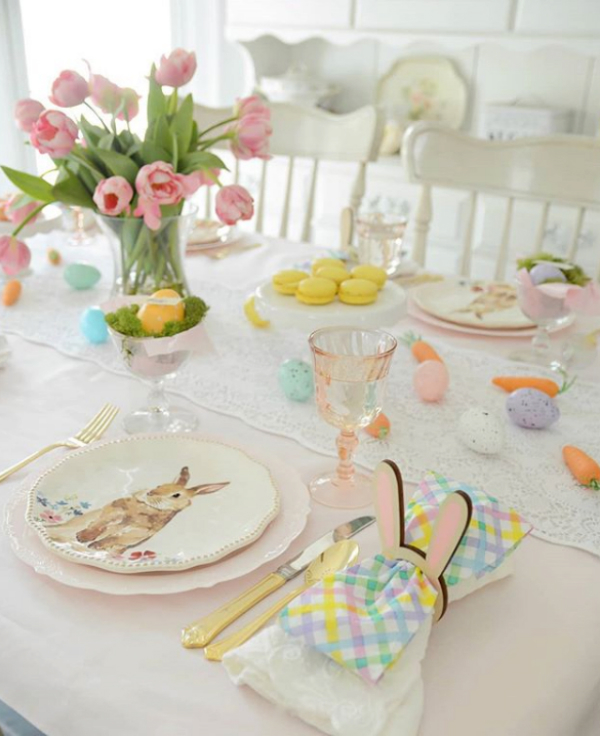 and this table captures both the fun and elegance of Easter. 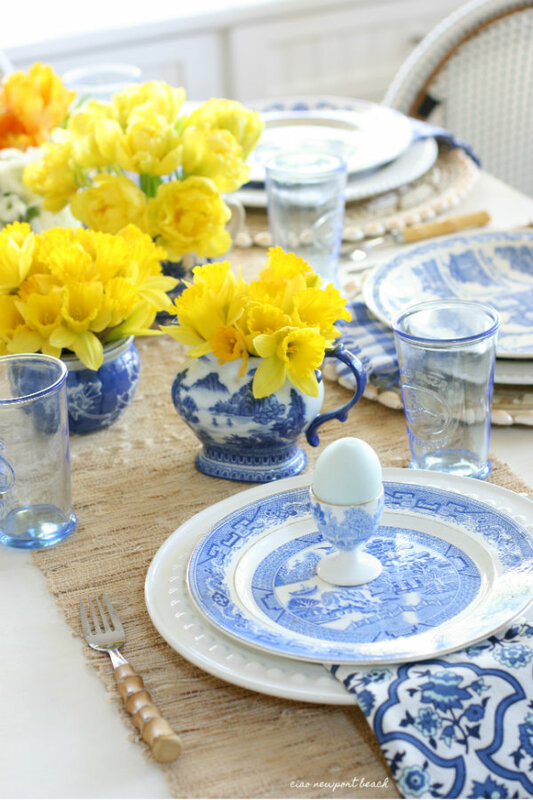 it plays big part of her dramatic tablescape. and I’m officially in love with this whole look! 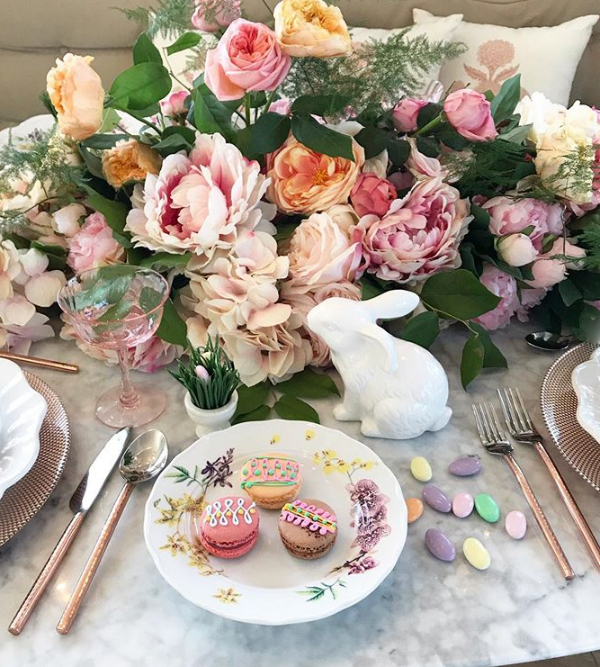 with all our favorite Easter elements like these pretty flowers. 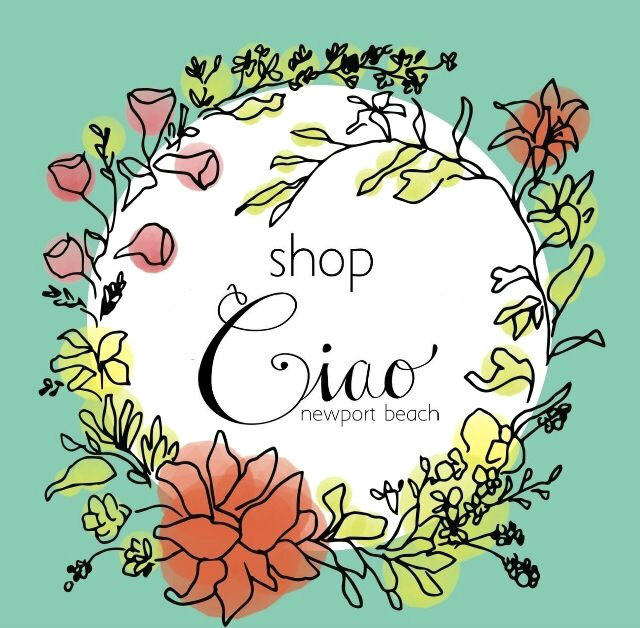 Make sure to stop by and check out the rest of her table! 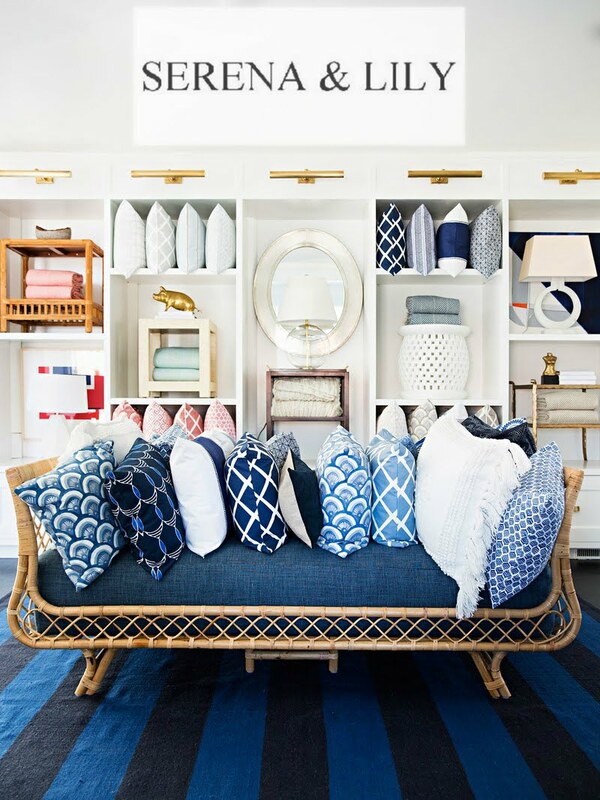 everything she creates exhibits her sophisticated style. 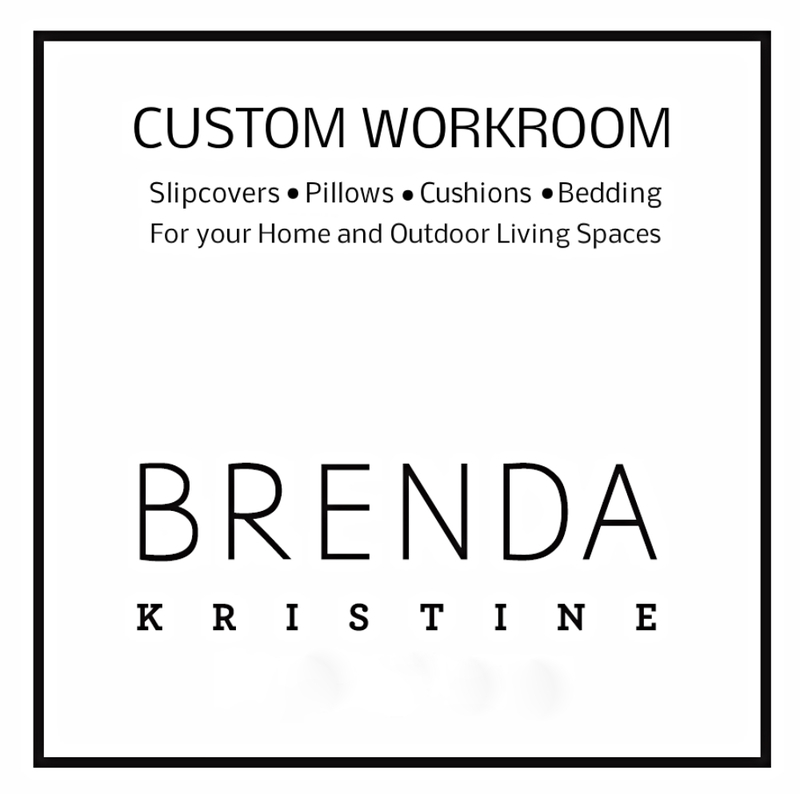 let me know if you have a favorite! 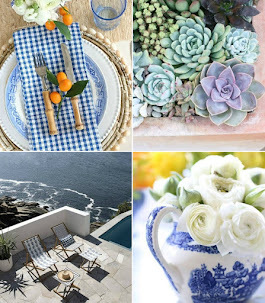 For lots of fun extras, follow me on instagram! on the cover of a magazine!